Voronezh (Russian: Воро́неж; [vɐˈronʲɪʂ]) is a city and the administrative center of Voronezh Oblast, Russia, straddling the Voronezh River and located 12 kilometers (7.5 mi) from where it flows into the Don. The city sits on the Southeastern Railway, which connects European Russia with the Urals and Siberia, the Caucasus and Ukraine, and the M4 highway (Moscow–Voronezh–Rostov-on-Don-Novorossiysk). Its population in 2016 was estimated to be 1,032,895; up from 889,680 recorded in the 2010 Census. Voronezh originates as a settlement of the Kievan Rus in about the 12th century, first mentioned in the Hypatian Codex (dated 1177). The Voronezh River is likely named for the settlement, then in the Principality of Chernigov. The toponym is usually derived from a Slavic personal name Voroneg, apparently a derivation from voron "raven", The comparative analysis of the name "Voronezh" was carried out by the Khovansky Foundation in 2009. Voronezh was presumably still in existence when Chernigov was absorbed into the Grand Duchy of Lithuania in the 15th century; Voronezh itself was not part of the territory of the Grand Duchy, the middle Don basin, including the Voronezh river, during the 15th century formed part of the marches separating the Grand Duchies of Lithuania and Muscovy from the Golden Horde. In the 16th century, the area was gradually conquered by Muscovy from the Nogai Horde (a successor state of the Golden Horde), and the current city of Voronezh was established in 1585 by Feodor I as a fort protecting the Muravsky Trail trade route against the raids of the Nogai and Crimean Tatars. 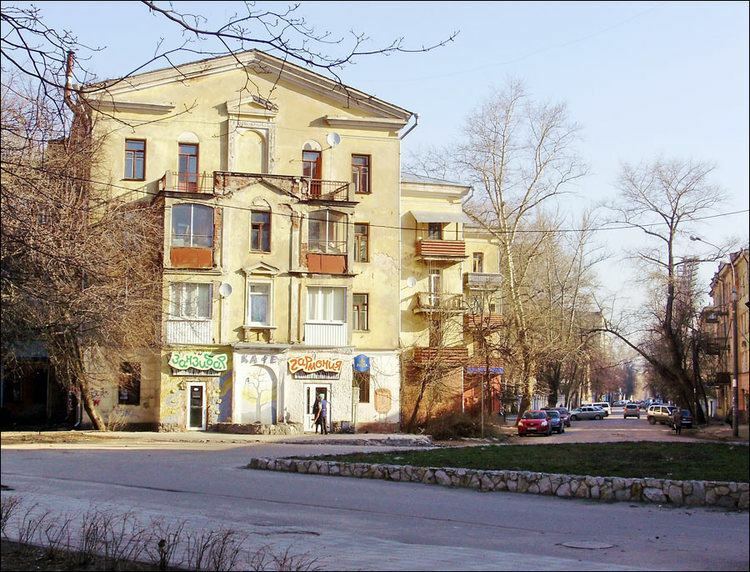 In the 17th century, Voronezh gradually evolved into a sizable town. Weronecz is shown on the Worona river in Resania in Joan Blaeu's map of 1645. Peter the Great built a dockyard in Voronezh where the Azov Flotilla was constructed for the Azov campaigns in 1695 and 1696. This fleet, the first ever built in Russia, included the first Russian ship of the line, Goto Predestinatsia. The Orthodox diocese of Voronezh was instituted in 1682 and its first bishop, Mitrofan of Voronezh, was later proclaimed the town's patron saint. Owing to the Voronezh Admiralty Wharf, for a short time, Voronezh became the largest city of South Russia and the economic center of a large and fertile region. In 1711, it was made the seat of the Azov Governorate, which eventually morphed into the Voronezh Governorate. In the 19th century, Voronezh was a center of the Central Black Earth Region. Manufacturing industry (mills, tallow-melting, butter-making, soap, leather, and other works) as well as bread, cattle, suet, and the hair trade developed in the town. A railway connected Voronezh with Moscow in 1868 and Rostov-on-Don in 1871. During World War II, Voronezh was the scene of fierce fighting between Russian and combined Axis troops. The Germans used it as a staging area for their attack on Stalingrad, and made it a key crossing point on the Don River. In June 1941, two BM-13 (Fighting machine #13 Katyusha) artillery installations were built at the Voronezh excavator factory. In July, the construction of Katyushas was rationalized so that their manufacture became easier and the time of volley repetition was shortened from five minutes to fifteen seconds. More than 300 BM-13 units manufactured in Voronezh were used in a counterattack near Moscow in December 1941. In October 22, 1941, the advance of the German troops prompted the establishment of a defense committee in the city. On November 7, 1941, there was a troop parade, devoted to the anniversary of the October Revolution. Only three such parades were organized that year: in Moscow, Kuybyshev, and Voronezh. In late June 1942, the city was attacked by German and Hungarian forces. In response, Soviet forces formed the Voronezh Front. By July 6, the German army occupied the western river-bank suburbs before being subjected to a fierce Soviet counter-attack. In July 24 frontline was stabilised along Voronezh river. This was the opening move of Case Blue. Until January 25, 1943, parts of the Second German Army and the Second Hungarian Army occupied west part of Voronezh. During Operation Little Saturn, the Ostrogozhsk–Rossosh Offensive, and the Voronezhsko-Kastornenskoy Offensive, the Voronezh Front exacted heavy casualties on Axis forces. On January 25, 1943, Voronezh was liberated after ten days of combat. During the war the city was almost completely ruined, with 92% of all buildings destroyed. By 1950, Voronezh had been rebuilt. Most buildings and historical monuments were repaired. It was also the location of a prestigious Suvorov Military School, a boarding school for young boys who were considered to be prospective military officers, many of whom had been orphaned by war. In 1950–1960, new factories were established: a tire factory, a machine-tool factory, a factory of heavy mechanical pressing, and others. In 1968, Serial production of the Tupolev Tu-144 supersonic plane was established at the Voronezh Aviation factory. In October 1977, the first Soviet domestic wide-body plane, Ilyushin Il-86, was built there. In 1989, TASS published details of an alleged UFO landing in the city's park and purported encounters with extraterrestrial beings reported by a number of children. 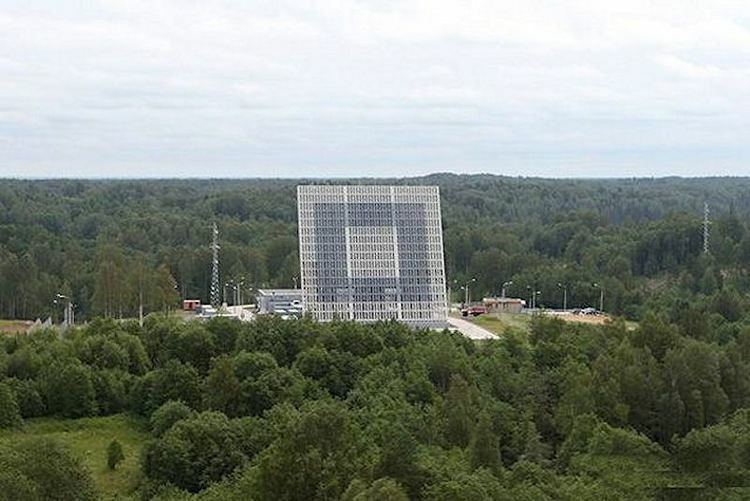 A Russian scientist that was cited in initial TASS reports later told the Associated Press that he was misquoted, cautioning, "Don't believe all you hear from TASS," and "We never gave them part of what they published", and a TASS correspondent admitted the possibility that some "make-believe" had been added to the TASS story, saying, "I think there is a certain portion of truth, but it is not excluded that there is also fantasizing". From 10 to 17 September 2011, Voronezh celebrated its 425th anniversary. The anniversary of the city was given the status of a federal scale celebration that helped attract large investments from the federal and regional budgets for development. On December 17, 2012, Voronezh became the fifteenth city in Russia with a population of over one million people. Today Voronezh is the economic, industrial, cultural, and scientific center of the Central Black Earth Region. Voronezh is the administrative center of the oblast. Within the framework of administrative divisions, it is incorporated as Voronezh Urban Okrug—an administrative unit with the status equal to that of the districts. As a municipal division, this administrative unit also has urban okrug status. Note: 1926–1970 and 2016 are population estimates; 1989 is the Soviet Census; 2002 and 2010 are census urban population only. The leading sectors of the urban economy in the 20th century were mechanical engineering, metalworking, the electronics industry and the food industry. KBKhA Chemical Automatics Design Bureau with notable products: The first Russian built nuclear rocket engine RD-0410 (in the years 1960–1980). The rocket engine RD-0109, which was used in the flight by Yuri Gagarin, the first human to space. And the oxygen-hydrogen liquid-propellant rocket engine for the space-rocket complex "Energiya-Buran", as well as a powerful gas-dynamic laser. Pirelli Voronezh and many others. On the territory of the city district government Maslovka Voronezh region with the support of the Investment Fund of Russia is implementing a project to create an industrial park, "Maslowski", to accommodate more than 100 new businesses, including transformer factory of Siemens. September 7, 2011 in Voronezh opened Global network operation center of Nokia Siemens Networks, which was the fifth in the world and first in Russia. In 2014, 926,000 square meters of housing was delivered. In clusters of tax incentives and different preferences, the full support of the authorities. A cluster of Oil and Gas Equipment, Radio-electronic cluster, Furniture cluster, IT cluster, Cluster aircraft, Cluster Electromechanics, Transport and logistics cluster, Cluster building materials and technologies. The city is served by the Voronezh International Airport, which is located north of the city and is home to Polet Airlines. Voronezh is also home to the Pridacha Airport, a part of a major aircraft manufacturing facility VASO (Voronezhskoye Aktsionernoye Samoletostroitelnoye Obshchestvo, Voronezh aircraft production association) where the Tupolev Tu-144 (known in the West as the "Concordski"), was built and the only operational unit is still stored. Voronezh also hosts the Voronezh Malshevo air force base in the southwest of the city, which, according to a Natural Resources Defense Council report, houses nuclear bombers. Since 1868, there is a railway connection between Voronezh and Moscow. Rail services form a part of the South Eastern Railway of the Russian Railways. Destinations served direct from Voronezh include Moscow, Kiev, Kursk, Novorossiysk, Sochi, and Tambov. There are three Bus Stations in Voronezh that connect the city with a large number of destinations including Moscow, Belgorod, Lipetsk, Volgograd, Rostov-on-Don, Astrakhan and many more. Voronezh experiences a humid continental climate (Köppen climate classification Dfb) with long, cold winters and short, warm summers. and a number of other affiliate and private-funded institutes and universities. There are 2000 schools within the city. Orthodox Christianity is the prevalent religion in Voronezh. 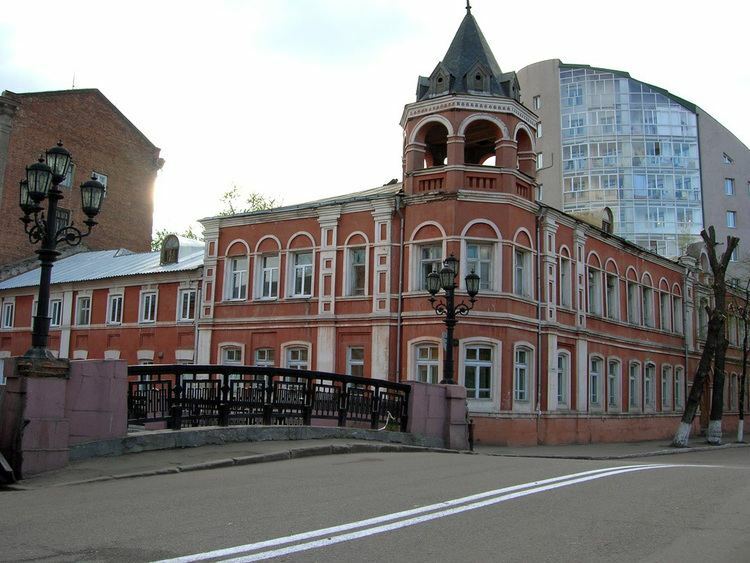 There is an orthodox Jewish community in Voronezh, with a synagogue located on Stankevicha Street.